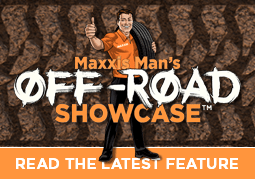 Well hello from myself, the Maxxis Man — I hope you’re ready for another brilliant holiday road trip. This time we begin our drive in Wangaratta in North East Victoria — taking the B500 (Great Alpine Rd) to Metung, a beautiful hidden town on the Gippsland Lakes. Our journey covers approximately 350 km – a distance that could easily be done in a day (but I know you won’t want to miss out on some truly amazing sights – so plan at least three days to really enjoy and do a few detours!) We’ll be travelling on Victoria’s highest road (it’s sealed all the way) and experiencing some truly diverse and spectacular scenery and vegetation from dizzy mountain heights through valleys, vineyards, character towns and taking in the most stunning and famous Gippsland Lakes. Ready for another amazing adventure? Buckle up, and here we go! The road is sealed, so you could do this trip in any SUV or passenger vehicle (unless you’re planning to head off the beaten track of course!) 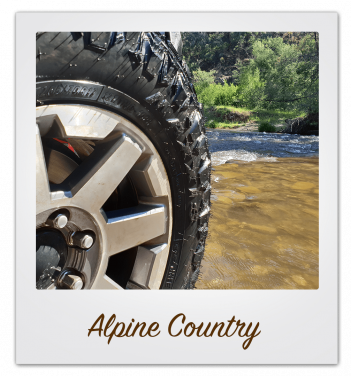 However, excellent comfort and enjoyment is assured in a large touring SUV, such as a Ford Territory, or a Toyota Kluger, fitted with Maxxis HT770’s – a perfect choice for taking in the spectacular views and sights that are all part of this high-country driving experience! Wangaratta (our starting point) is a destination itself, with some lovely parks, gardens and walks around the city — such as the King George V Gardens and Merriwa Park (home to the famous jazz festival) and nearby Warby Ovens National Park. As well as its multitude of exceptional restaurants and cafes, Wangaratta is a good base for visits to the famous surrounding wineries (including Rutherglen). For this leg of our trip, however, we’ll be heading straight to Bright – which is about 80km from Wangaratta, a beautiful scenic drive that has us arrive in this stunning little town, surrounded by mountains, on the Ovens River. With all types of accommodation available, Bright is well set up for camping and caravan enthusiasts – so if that’s your thing, definitely plan a day or so here. The next stage of the trip takes us on the journey to Omeo. After a quick stop in Harrietville, once a gold-mining town at the foot of Mt Hotham, we’ll experience the breathtaking views of the Alpine National Park, as we wind our way up to Mt Hotham (Australia’s highest alpine village). 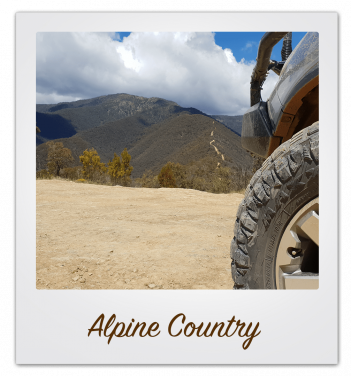 As it’s summer you can enjoy a hike (and see some amazing wild flowers), go biking, horseriding or try out one of the many 4X4 trails Hotham is renowned for in the summer months. There’s no shortage of accommodation options in the alps (even in summer) – lodges, chalets and apartments, you name it, so plan ahead and be sure to book if you decide to make a longer break here! As we descend from Mt Hotham, our next stop is just 15 minutes away at the rustic, very pretty village of Dinner Plain and then on to the historic goldfields town of Omeo, with abundant fresh mountain streams (excellent for fishing) – as well as the Omeo Historic Park and Museum. After a day of fresh air, mountain sunshine and views over incredible landscapes, Omeo is the perfect place to pull up stumps, enjoy a bistro meal (and another great view) and recharge for the night! Swifts Creek on the banks of the Tambo River is our next stop, just a 15-minute drive from Omeo. Visit the Great Alpine Gallery (an art space showing the works of local artists) or have a round of golf at the Tambo Valley Golf Course (it’s lined with pine trees and native bushland and you could well be joined by a kangaroo and a wombat or two!) We then pass through the little town of Bruthen, which offers many walking tracks including the East Gippsland Rail trail which passes through the town and a famous temperate rainforest, the Fairy Dell Scenic Reserve (just to the west of the town). Back in the car, the bustling town of Bairnsdale is another 24km further on the Great Alpine Road, gateway to the Gippsland Lakes. You’ll be spoilt for choice of places to eat, stay and visit – but do make sure you take the time to stop off at the Krowathunkooloong Keeping Place, an intriguing museum featuring traditional artefacts and contemporary Aborignal art, and the history, heritage and culture of Aboriginal East Gippsland. We’re now nearly at our destination! Just 25 minutes from Bairnsdale, we arrive at the truly picture-perfect fishing town of Metung, on Bancroft Bay in the heart of the pristine Gippsland Lakes. Driving in, you’ll need to catch your breath as you feel like you’re looking at a postcard! With Lake King at the back of the town, Metung is truly idyllic and a fabulous place to leave the car (and give those tyres a rest for a day or two!) and enjoy exploring the surrounding waterways, fresh seafood and superb local hospitality. Kosciusko Lookout (near Omeo with superb views of the Omeo Valley and Australian Alps). Well that wraps up another holiday road trip – I hope you’ve had some fun! 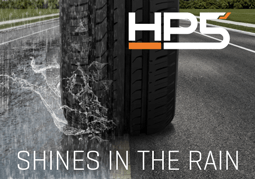 Remember to drop us a line of where you go and how your tyres perform, we look forward to hearing from you. Until next time … safe travelling from myself and the rest of the Maxxis Team! Your eskie and BBQ supplies are a must, as are fishing rod, mountain bike, swimming gear, golf clubs, binoculars and sunnies! If you’re breaking the trip up over a few days (which I really recommend) don’t forget your pj’s and other overnight essentials! It’s worth noting that in winter it is mandatory to travel this road with snow chains – which won’t be needed if you do this trip over the Christmas break.